Rosenbalm Rockery currently has two locations for a combined 10 acres of natural stone, landscape and masonry material. We deliver it all with a fleet of trucks, trailers and forklifts if needed. 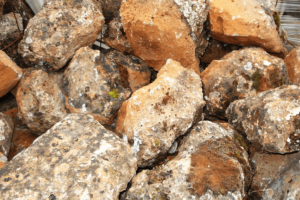 For personal or professional applications – Rosenbalm Rockery has you covered! We employ over twenty-five friendly and knowledgeable employees and offer a unique outdoor display area at our Fresno facility that can help inspire your landscape design. Rosenbalm Rockery is the valley’s largest landscape supply company. We continue to bring in different products to give our customers a wide variety of high quality material to choose from. Our name says it all! Rosenbalm Rockery. 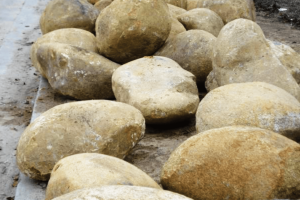 We are a “rockery” with literally tons and tons of rocks to choose from. We have everything from dirt, sod, synthetic grass, sand, flagstone, bark & mulch, base material, water features, koi pond kits, cart-away concrete, to cultured stone.